The overwhelming year round sun mixed with our dry, hot weather means we need to run the AC many months throughout the year which of course raises our utility bill and puts a strain on our wallet. These factors along with the available local tax and utility incentives and financing options make Murrieta ideal for producing your energy with inexpensive, environmentally friendly solar power for decades to come. Is Your Murrieta Home Solar Power Friendly? Driving around Murrieta, we see lots of homes with solar panels on their roofs, and if you don’t already have solar you must be thinking what made these homeowners decide that solar was right for them and could it be right for my family? Or what does solar cost? Switching to reliable, affordable solar panel energy and decreasing your dependence on Southern California Edison who continues to increase power rates year after year with no end in sight seems like it just makes sense. But there are some things you should think about before deciding if your residential solar investment in solar will pay off. Murrieta has seen a significant amount of housing growth, and home prices continue to rise which makes a solar power system not only an excellent way to lock in your electricity rates but add additional value to your home if you ever decide to sell. 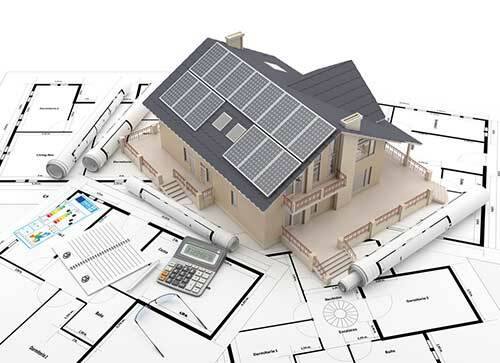 How Much Does Solar Power Increase Home Value? Example: Installing 5kW of solar panel system can add on average $20,000 ($4 x 5,000W =) $20,000 to the homes property value. Roughly each watt of solar power adds about $4 to a home’s value in California. Call Us Today To See Why Your Murrieta Neighbors Have Hired Us To Build Their Solar Systems! Why Hire A Local Murrieta Solar Contractor? CalState Solar has been providing home solar Murrieta home owners have relied on for years. We are located on Commerce Center Dr. just West of the I-15 freeway just a few miles from your home. When you hire a Riverside County solar power company, more of that money stays right here in your community, which benefits everyone. We are a first choice sub-contractor for many of the prominent solar businesses in CA so you can trust us to do your solar installation right every time. CalState Solar services Murrieta city from Murrieta Hot Springs to Antelope Hills to Greer Ranch to Creekside Village to Alta Murrieta to Copper Canyon to Torrey Pines to the Creekside homes, South of Vineyard and West of Washington. We are the best solar panel service in Murrieta.